The Old Man and the Sea 1958 - 95 min. 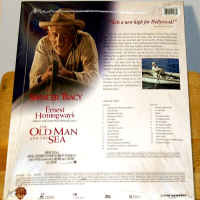 - Color Genre: Drama Not Rated Country: USA LaserDisc Movie Review: Ernest Hemingway's short novel The Old Man and the Sea was probably unfilmable to begin with, but this didn't stop John Sturges from trying to cinematize Hemingway's tight little character study. 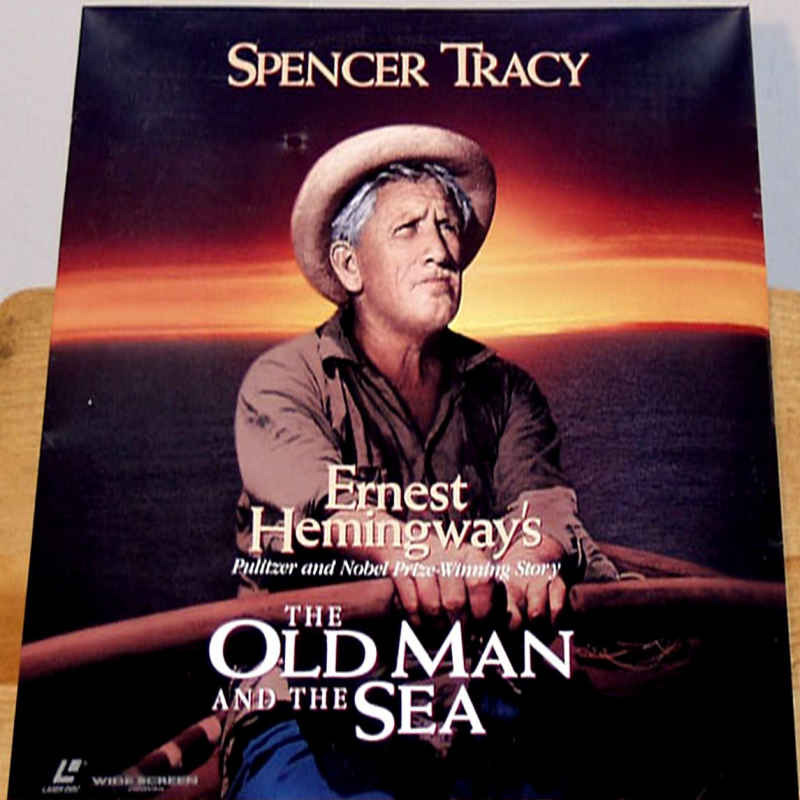 Spencer Tracy is the Old Man, a Cuban fisherman who tries to haul in a huge fish that he catches far from shore. Tracy's tiny boat is besieged by sharks and by natural elements, but the Old Man stubbornly sticks to his job. In the end, the fish is nothing more than a skeleton, and the Old Man returns to his tiny hovel to "dream about the lions." 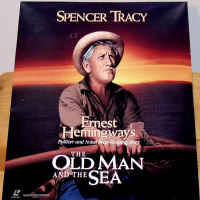 Spencer Tracy may have been dreaming about the Oscar when he agreed to make this film, but Old Man and the Sea is defeated by pretentiousness and by several unconvincing "sea" scenes shot in a studio tank (even though both Tracy and director Sturges underwent incredible hardships filming in a real boat on the real ocean). 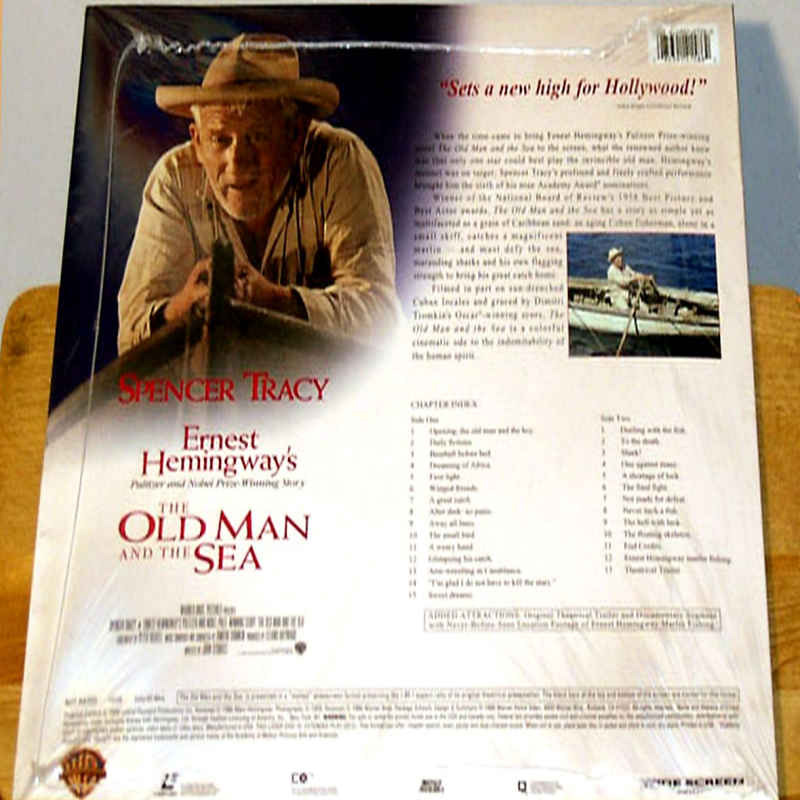 Old Man and the Sea was remade as a 1990 made-for-TV movie starring Anthony Quinn, which compounded the mistakes made in the Tracy version by grafting on a pointless love story. ~ Hal Erickson, Rovi Thanks for Visiting DaDon's Rare LaserDiscs ! Reviews, Articles, Newsletter and Information for Movies on LaserDisc LD Laser Disc, LazerDisc.